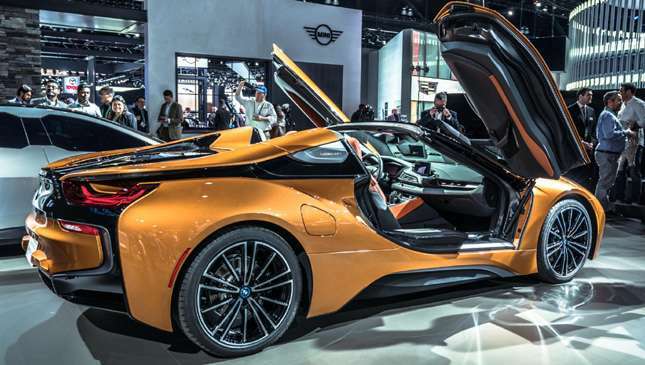 BMW used the Los Angeles Auto Show to finally show off the i8 Roadster. It looks every bit as desirable as an i8 drop-top ought to and was revealed alongside an updated BMW i8 Coupe. The improved battery technology means more energy, so the motor now produces 143hp, taking the car's total gasoline and electric output to 374hp. 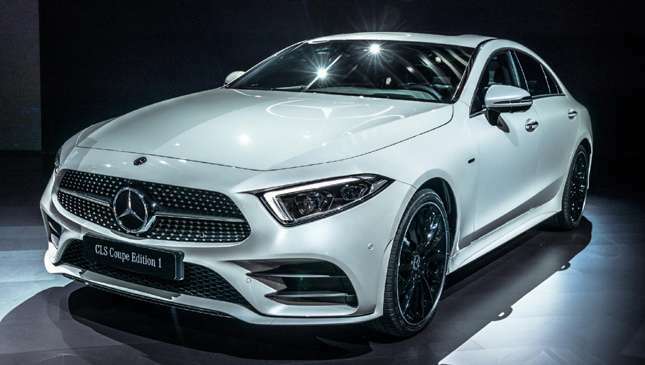 Ladies and gentlemen, please be upstanding for the new Mercedes-Benz CLS, the third generation of the genre-busting sedan/coupe, showing off Merc's svelte new design language. Yep, third generation. Remember how astonishing the first one was? Fair to say it knocked it right out of the park design-wise, followed up by the second-gen's 'difficult-second-album' syndrome. Third time around? That's up to you to decide. 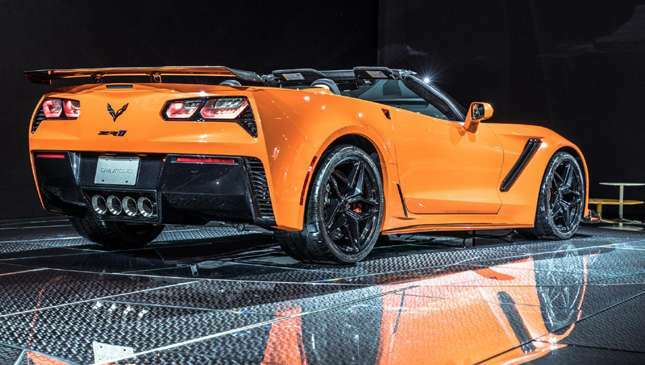 The ZR1 convertible was one of very few surprises at the show, coming just two weeks after the quite mad coupe. And yep, there's no special name or confusing spelling of the word spider. Just 'convertible' with a lower-case C. Simple. It uses the same 755hp supercharged 6.2-liter V8 as the coupe, with the option of seven-speed manual or eight-speed automatic gearboxes. With the auto, the hardtop has a top speed of 341kph and does 0-100kpph in sub-3.0secs, but that’s with a special aero package. Chevrolet says the convertible will still have a top speed "over 200mph," though, which is probably more than enough. 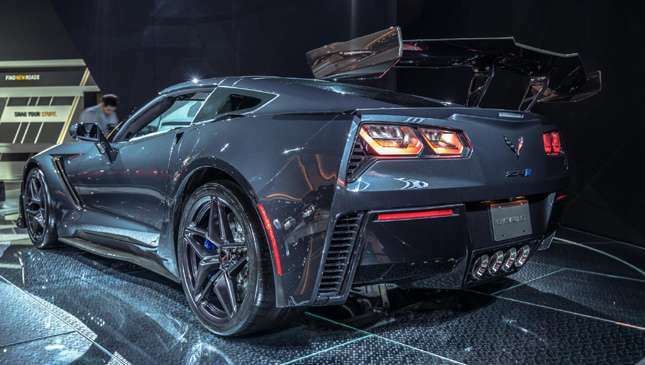 And here's the more roofy ZR1—the fastest and most powerful 'Vette ever. Under the hood is a new supercharged 6.2-liter LT5 V8 engine good for 755hp and 969Nm. Yes, you read that correctly. All that extra oomph from the ZR1’s new, dry-sumped pushrod V8 is largely thanks to a 52% larger supercharger, the largest throttle bodies (95mm) ever fitted, as well as an upgraded crankshaft and a dual-injection system (direct injection as well as supplemental port injection) that'll mean the ZR1 will spit flames like Spyro the Dragon. 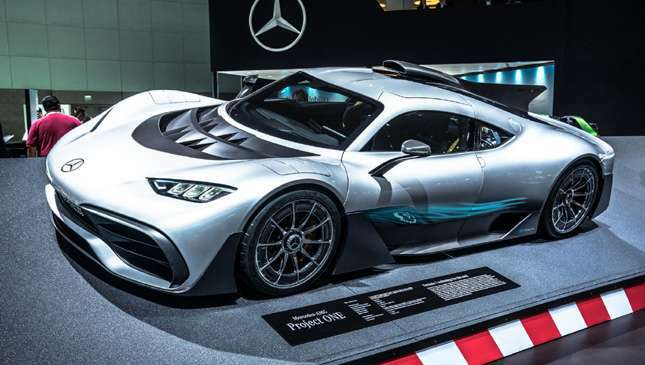 You may remember Project One—Mercedes-AMG’s Formula 1 car for the road—from Frankfurt. But this was the first time the 1,000hp, 349kph hypercar has been seen Stateside. And you don't want the Americans to miss out. Say hello to the new Jeep Wrangler. Yes, really. 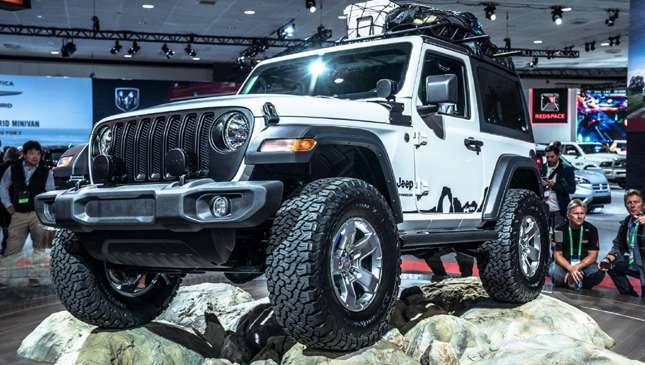 It's a brand-new Wrangler that's lighter and techier than ever. Jeep, perhaps sensibly, has just kept it looking largely the same as before. But it's beneath the skin where the really new stuff happens. While a distinctly old-school V6 engine kicks off the range, there's a 2.0-liter turbo four with less power (268hp) but more torque (400Nm) sitting above it. We're rather partial to the notion of a car—a wheeled vehicle designed for road usage—being fitted with tank tracks for use on snow. It's a recipe that's been used to strong effect by Nissan with the Juke Nismo RSnow concept that we drove on a not-very-frozen lake, and by the master of mechanical mayhem himself Ken Block in one of his earlier video stunts. Relive the off-piste lunacy here. And now, digest the fact that GMC has utterly demolished these trivial offerings with the magnificent Sierra All Mountain Concept. 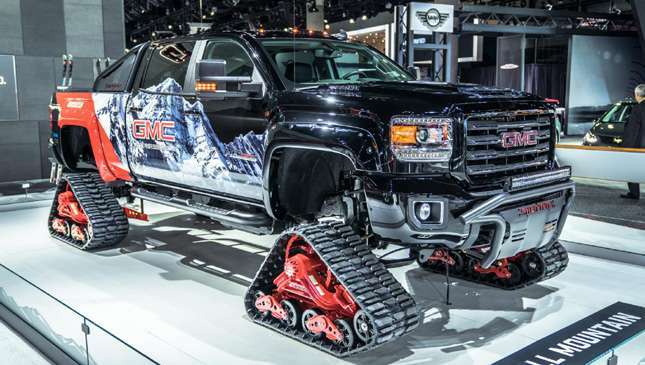 The result of a union between a luxury SUV, a snowmobile, a tank and a quantity of terrible American light beer, we presume. 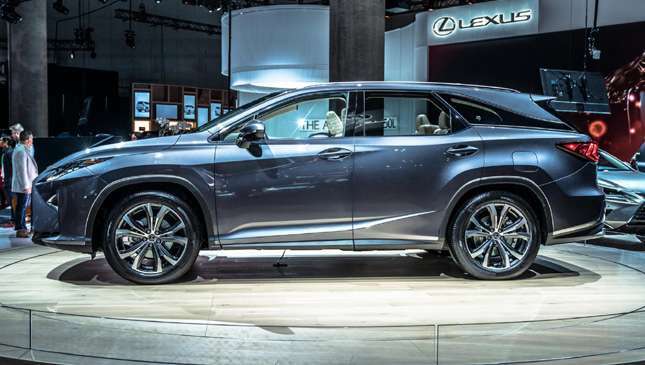 Trying to accommodate the families that just can't stop having, erm, what leads to kids, Lexus has introduced the RX L, a stretched RX with three rows of seats to make it a seven-seater. With a sweeping roofline with a weird stylistic pinch in the D-pillar, the new RX is longer by 110mm and features a steeper tailgate window angle than two-seat-row model. The RX L comes in two flavors: A 350 L and 450h L. The first gets a 3.5-liter V6 with 290hp and 357Nm. In classic Lexus style, the latter is a hybrid with two electric drive motor-generators producing 308hp combined. All-wheel drive is optional on the base car and standard on the hybrid. Don't do drugs kids. 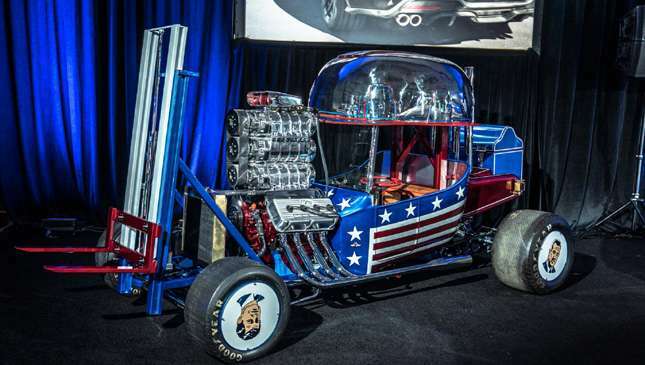 Otherwise, you'll end up driving this George Barris contraption called Hard Hat Hauler. It came to life in 1971 from a 1/25th scale model and features a triple blown 500hp Chrysler Hemi engine, handmade headers, Cragar wheels, and 15-inch rear Goodyear slicks. Oh, and there's a working forklift mounted ahead of the front axle. Meet the Bollinger B1, a deceptively clever EV SUV from an American start-up. It might look simple, but we're assured it's not. The B1 is a clean-sheet design that uses an all-aluminum chassis (and steel rollover structure) to keep weight down and proportions in check. Bollinger quotes approach and departure angles of 56 and 53 degrees respectively, with a break-over angle of 33 degrees and 394mm of ground clearance. 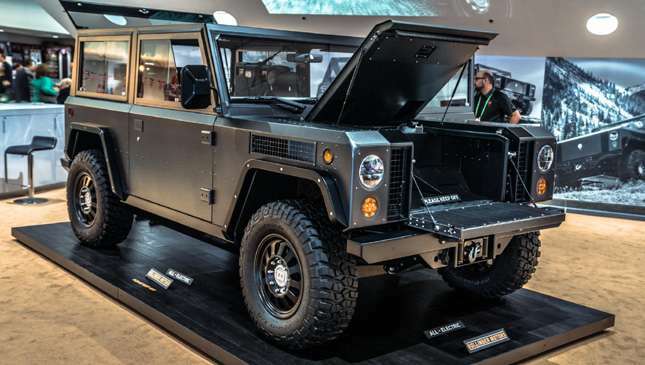 However, because the B1 rides on fully adjustable, self-leveling, four-wheel independent, hydro-pneumatic suspension with "disconnectable" anti-roll bars, it can be raised as required. 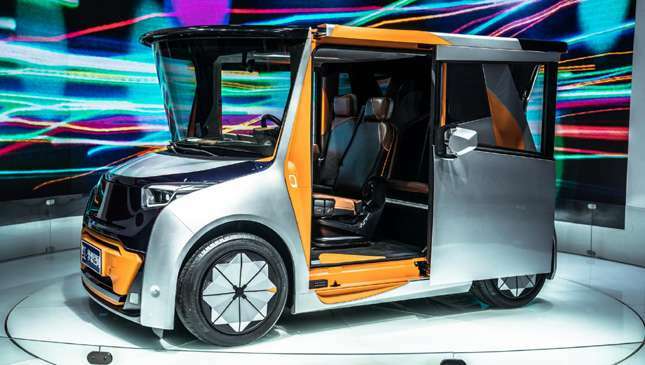 The Redspace electric city car, to be produced by Chinese EV lorry manufacturer CHTC Group, is 2,970mm-long but really, really boxy to maximize interior space within a small footprint. 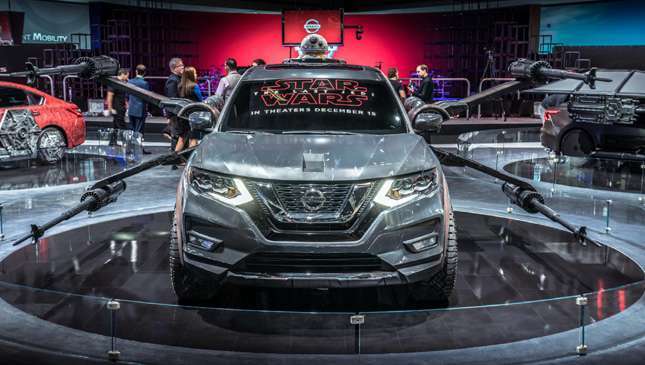 Have you ever wondered what Star Wars would've looked like if it had been set in a world where all spacecraft looked like US-market Nissans? This sinister carbon-bodied brute above can be yours for £415,000 (P28 million). 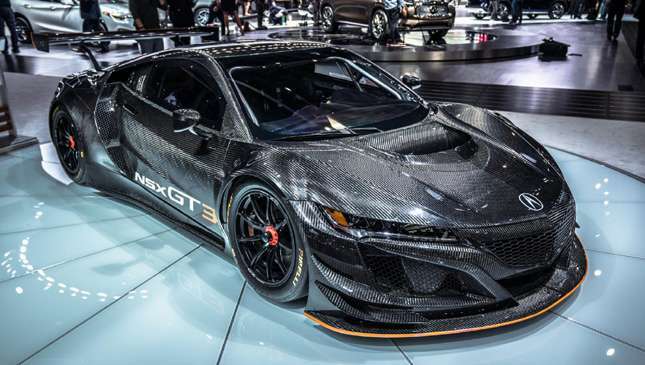 A steep price over a normal NSX, we admit. Want a crazier race car than that? 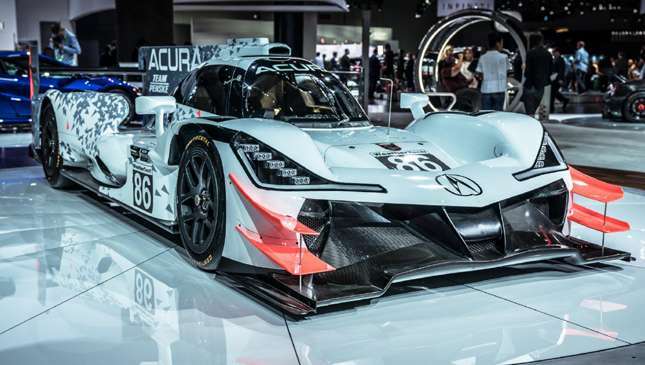 Meet the Acura ARX-05 IMSA DPI. As you can see, it has much aero. Nürburgring cynics, look away now. 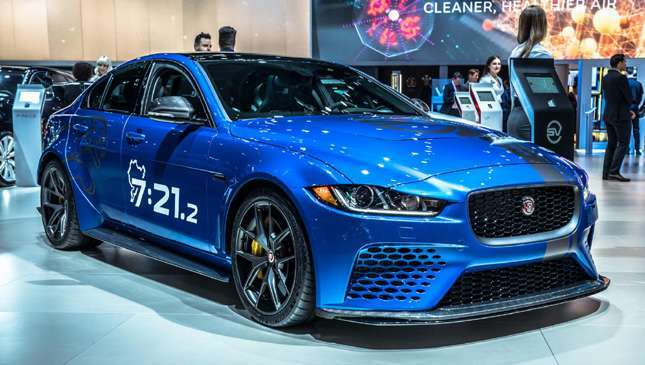 As this is the Jaguar XE SV Project 8, the same car that lapped the Nordschleife in 7 minutes and 21.23 seconds, "the fastest ever time by a four-door sedan in production-intent specification."